Our main inspiration was the recent tumbling and rising of stock prices due to elections. 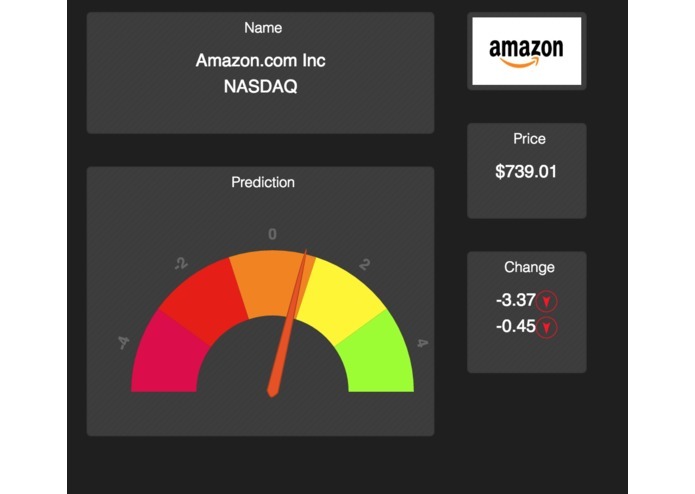 So we decided to come up with a stock dashboard using Microsoft cognitive APIS and NASDAQ 's API to create a predictive model. 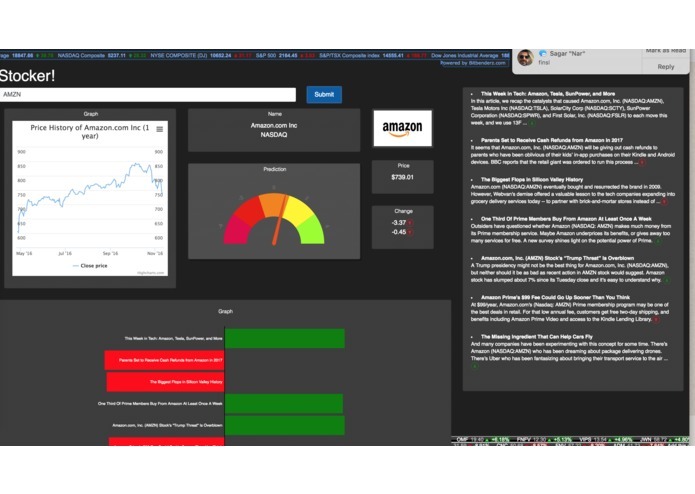 We have built a dashboard for the stock details that lets the user input any NASDAQ stock symbol as the input and outputs an interactive yahoo stock chart that shows the price history of a particular stock. Along with the graph, we also display the Stock name, its logo that is obtained from Microsoft's Image search API and the latest up-to-date price of stock and the increase / decrease in the price, as provided by the mark-it-on-demand API. 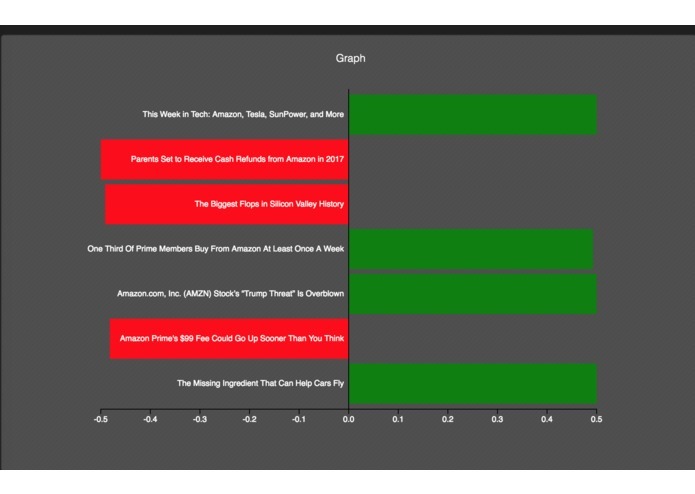 The user can also see the prediction graph that gives us the positive and negative reviews based on semantic analysis that we have performed and the latest news of that particular stock. 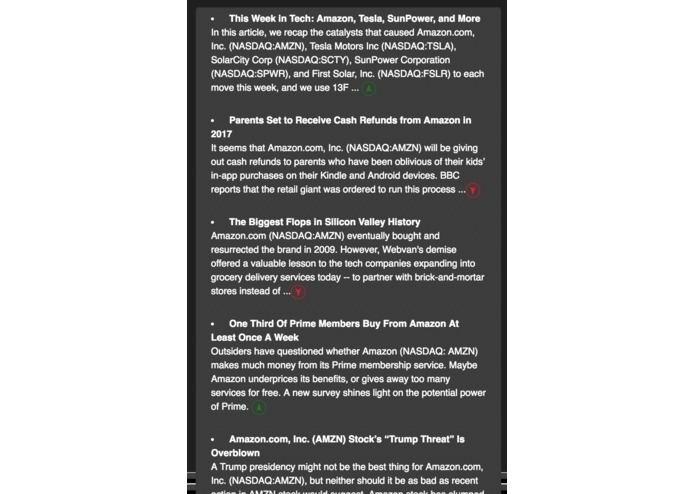 We also display the top news results about the particular stock. 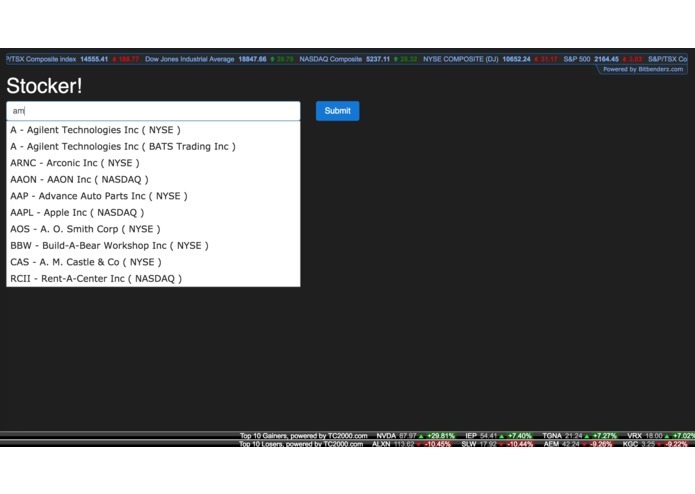 The user can also view the Stock ticker at the top and bottom which shows the trading volumes for various stock exchanges. Our main challenge was coming with the prediction model and combining it with the sentiments that we had obtained from the stock news. TO be able to develop an end-to-end product, from the brainstorming of the idea to its completion, is a wonderful feeling in itself. Having never much worked with REST API's, we now feel ready to conquer the API world. In terms of learning, we now have the confidence to turn an idea to a workable model. With the plethora of technologies that we used, I feel that the playing around with REST API's was the major learning for us here. The next step for Stocker would be to incorporate several Machine Learning Algorithm and be made to an iOS/Android app. The prediction model would be extremely accurate in case we deploy some of the prediction algorithms on our model.